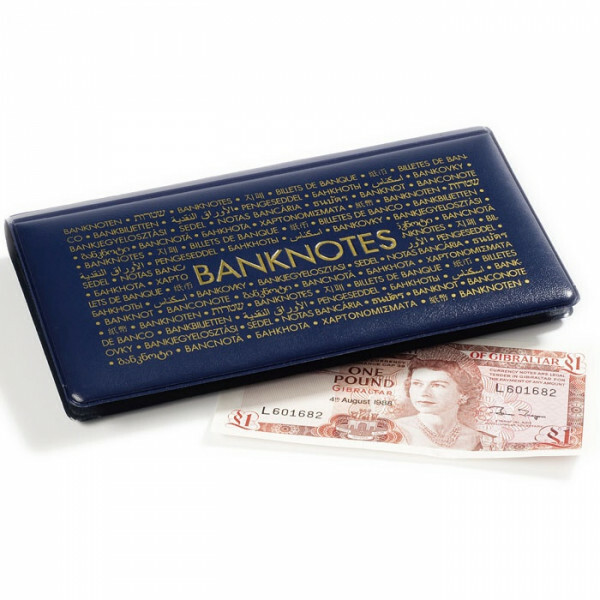 Handy wallet with 20 pockets for banknotes up to 170 x 85 mm (6 2/3 x 3 1/3" W/H). 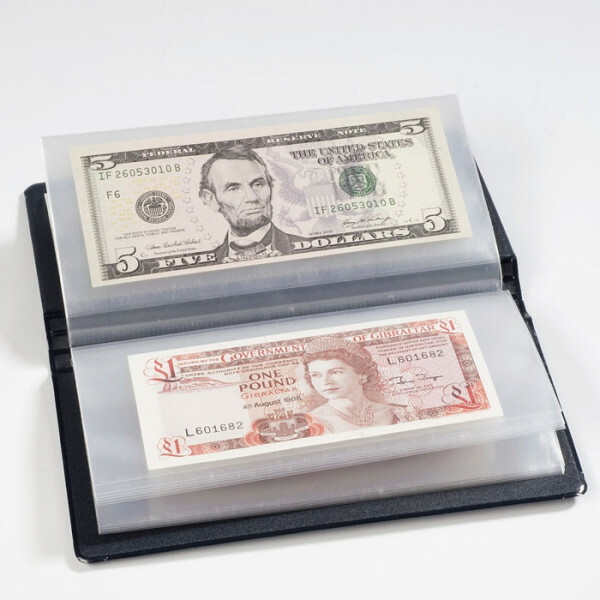 The transparent pockets allow you to view the front and reverse sides of the banknotes. 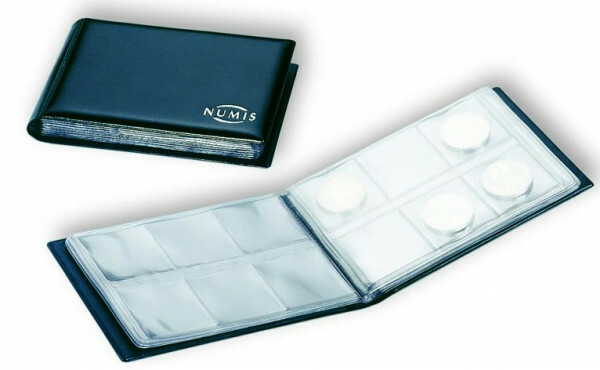 The handy size means the wallet can easily be carried in a bag, briefcase or jacket pocket and is therefore perfect for journeys and when trading. Padded cover. Gold imprint on cover. Colour: dark blue. Overall size: 195 x 110 x 20 mm (7 2/3 x 4 1/3 x 3/4").